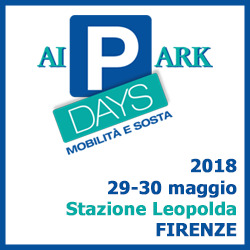 Next week, the ParkCloud team will journey to Italy to exhibit at the Italian Parking Association’s (AIPARK) biennial parking conference, Pdays. Held at the Stazione Leopolda in Florence, the event offers attendees an all-encompassing insight into current technologies, services and debate from the world of parking and mobility. Exhibiting at the event for a second time, ParkCloud will be pitching up at stand N.11 to meet with current partners and operators, in addition to forging new connections and promoting the benefits of pre-booked parking (of course!). It’s a particularly great opportunity for us to meet with some of our Italian clients and get closer to issues affecting the industry in the Italian market. Will you be attending Pdays on either 29th or 30th May? If you would like to set up an appointment with the ParkCloud team, please email our Head of Sales, Ilaria Vacca via ilaria.vacca@parkvia.com.